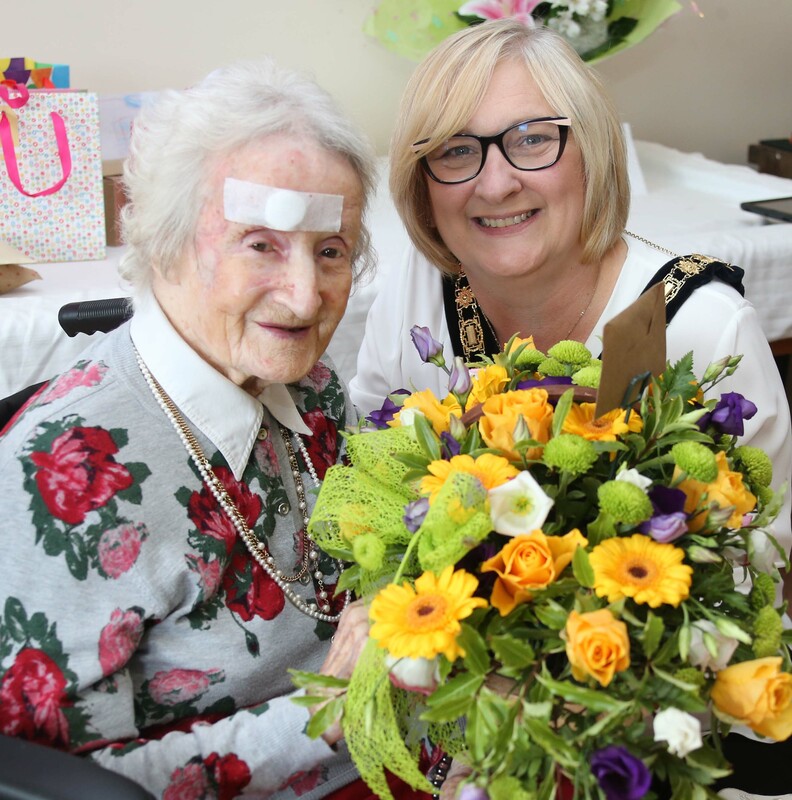 Beattie Taylor who is a resident at Madelayne Court Care Home in Portstewart spent her special day surrounded by staff and her daughter Pearl. Along with her many cards and well wishes, she also enjoyed a visit from The Mayor of Causeway Coast and Glens Borough Council, Councillor Brenda Chivers. Born in 1915, Beattie grew up in Binevenagh near Limavady. She married her husband, a pharmacist in the 1940’s and they had one daughter Pearl. Beattie was a church organist and a very successful music teacher, having taught over 100 pupils. The couple retired to Portstewart in 1977 where Beattie continued to teach music until well into her 90’s. Her daughter Pearl said she is very blessed to have Beattie as a mother, she is a real character who loves nothing more than entertaining people with her stories of her long life. 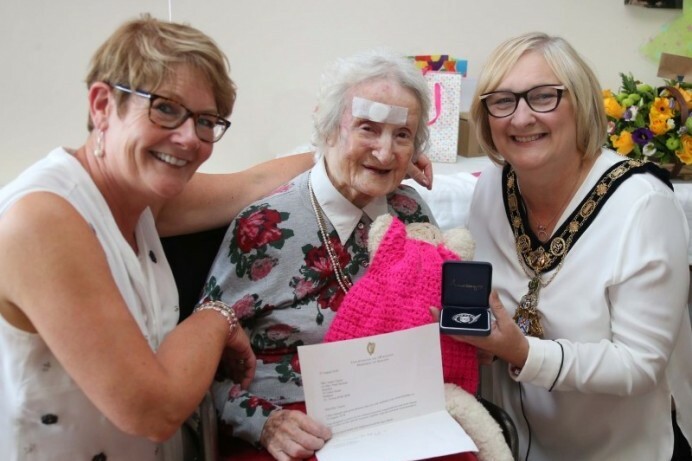 Beattie Taylor, pictured on her 103rd birthday, enjoying a visit from the Mayor of Causeway Coast and Glens Borough Council, Councillor Brenda Chivers, to mark the very special occasion.